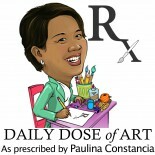 Welcome to a new week here on Daily Dose of Art! This month as we celebrate the ‘love’ month, I bring you some incredibly talented foreign artists based in Singapore who are passionate about their art form. 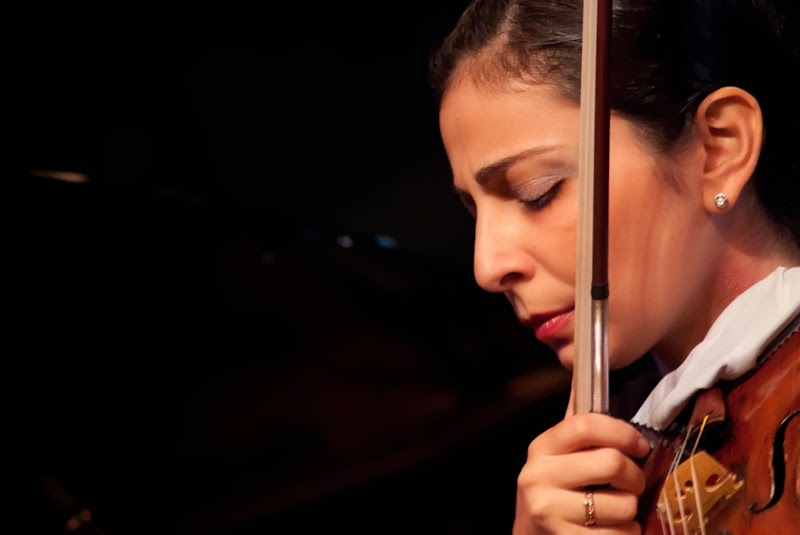 We start off with the MAGIC 3 – three lovely European musicians with remarkable talents: pianist KSENIIA VOKHMIANINA (Ukraine), cellist LINDA KOLLATI (Hungary) and violinist ANI UMEDYAN (Armenia). DDoA: How did you three wonderful artists come together? I know Linda Kollati from the Netherlands’ most prestigious master classes (Holland Music Session). Apparently Linda and I had been there for our Solo Recitals, but just a week apart. So, when I met Linda here in Singapore, the thought of playing together started to bother me, until we came up together in playing a Trio. Then we found our Kseniia, with whom we started a happy collaboration. That’s how we got together. DDoA: How did you come up with the name of your group? In this week’s series we will get to know the lovely ladies that make up the MAGIC 3. We start off with their violinist. DDoA: How long have you been playing the violin? What/who inspired you to dedicate your life to music? AU: Well, it’s an influence of family. My uncle is a guitar player and composer, his wife is a violin teacher. My mum also studied piano for 7 years. I remember that I wanted to play flute, but then because of good natural talents of good ear and rhythm, I’ve been given violin, which I started when I was 7 years old up to now. DDoA: What do you like about your MAGIC 3 collaboration with pianist KSENIIA VOKHMIANINA and cellist LINDA KOLLATI? AU: Well, it happened that me and Linda had been in one of prestigious master classes in Netherlands a week apart from each others recitals. So, when I met her here in Singapore the friendship grew tighter and I though why not to organize some concert and play together. Then, we found Kseniia and asked to join us in our founded Piano Trio. After our debut concert at Arts House, we started to play more together in different projects and it goes so well, that we just keep on going. I’m very happy to have Kseniia and Linda not for music, but as a good friends. I think good friendship sometimes can create a great music too. DDoA: Will you be playing some music from your homeland ARMENIA? AU: Not at this concert, but soon there will be another concert at the Armenian Church, where the Armenian music will be played by us three. DDoA: What message do you have for young musicians who aspire to be professional concert artists? AU: Hmm…nowadays I think less people are following the music path, because of many reasons. For those who still want to follow music, I would advise to work hard and be confident in spite of difficult turnouts on your way to success. From my point of view, being LUCKY also plays a big role in success! Learn more about Ani Umedyan on her website. I have just been informed by Ani that as of the week of Feb 10, 2014, their piano trio (previously called MAGIC 3), now goes by the name TRIOLAH. This entry was posted on February 3, 2014 by Paulina Constancia in Collaborate and tagged Creative Collaborations, music.